Watery reflections can be a unique way to create an interesting abstract. With the photo above, the water is full of color, reflecting from nearby buildings and a vivid blue sky. 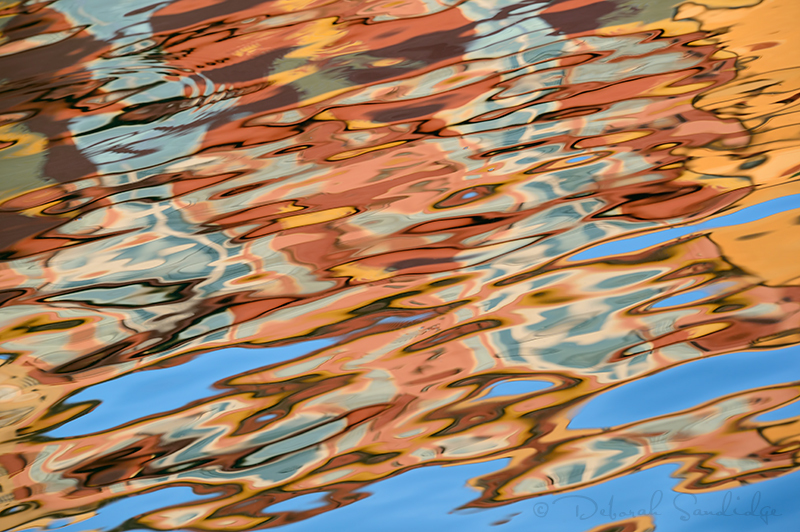 As the water moves, the ripples and shapes change constantly, creating ever-changing colorful patterns. Marina's are a great location to look for reflections. 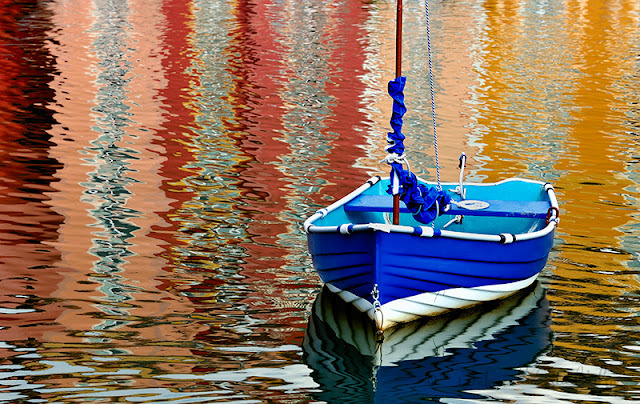 On a calm sunny morning or afternoon, or even at night you'll find colorful reflections in the water just waiting for you to photograph them. To create a more dynamic look as I did in the first photo, tilt the camera slightly. 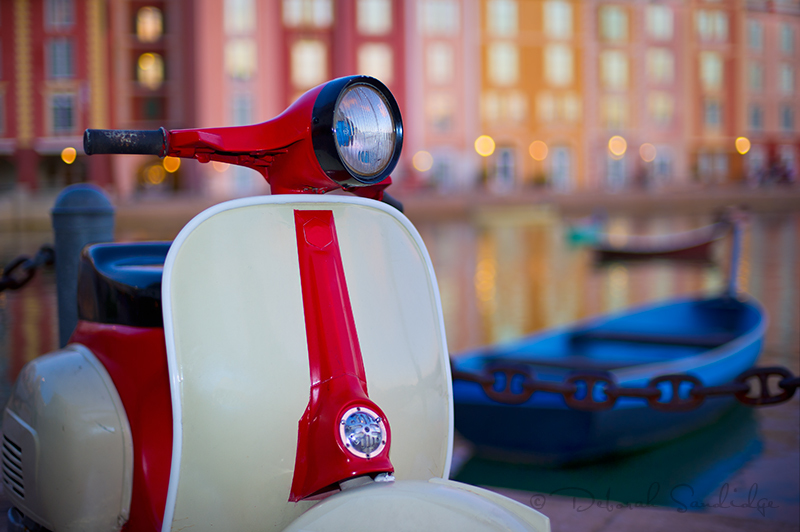 With this photo, the reflections created brushstrokes of color throughout the image. Originally, I hoped for mirror perfect reflection but the wind caused a much more interesting pattern that was complementary to the overall image. I composed so that the boat was the primary subject, and surrounded it by colorful reflections, excluding any other elements. With the camera mounted on a tripod, it took just waiting for the right combination of the boat position, and calmness of the water to come away with a photo I was happy with. This photo was also chosen for the cover of Nikon World in 2009, a huge honor, and made it's way out west as an oversized poster for Nikon during the MacWorld event. Consider making a series of reflection photos to print and exhibit, share with your friends, or enjoy in your home. After the sun goes down, you'll have opportunities to photograph reflections as. well. The water in the photo above is like a mirror casting reflections that look as though they were painted into the scene. This is because of the lens chosen, distance to subject, and a result of wide aperture. I used a zoom lens for the first two photos, however a Nikon 50mm f/1.4 lens worked nicely here to create a different look, softening the background. Have fun shooting!